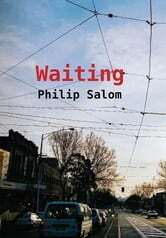 Waiting is a story of two odd couples in prose as marvellously idiosyncratic as its characters. Big is a hefty cross-dresser and Little is little. Both are long used to the routines of boarding house life in the inner suburbs of Melbourne, but Little, with the prospect of an inheritance, is beginning to indulge in the great Australian dream, which has Big worried. Little's cousin, Angus, is a solitary man who designs lake-scapes for city councils, and strangely constructed fireproof houses for the bushfire zone. A handy man, he meets Jasmin an academic who races in her ideas as much as in her runners. Her head is set on publishing books on semiotics and her heart is turned towards her stalled personal life. All four are waiting, for something if not someone.